We treat a range of conditions ranging from neck and spinal pain to pre and post operative rehabilitation. Our specialists can provide expert advice at each stage of your recovery. Corticosteroid injections reduce joint paint and inflammation for musculoskeletal conditions. We use ultrasound to guide the needle to guarantee accurate placement. We treat a range of conditions ranging from neck and spinal pain to pre and post operative rehabilitation. Our specialists can provide expert advice at each stage of your recovery. 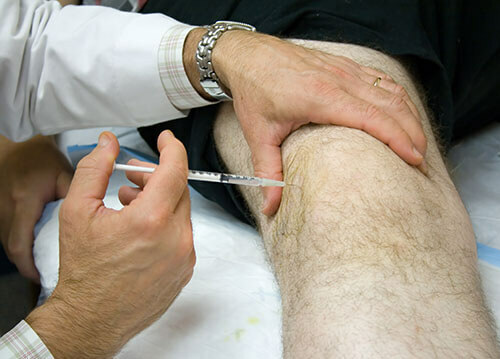 Corticosteroid injections reduce joint pain and inflammation for musculoskeletal conditions. We use ultrasound to guide the needle to guarantee accurate placement. The Northwood Musculoskeletal Physiotherapy Clinic was established to offer our clients fast access to appropriate treatment & pain management solutions. We are committed to providing up to date evidence based interventions in musculoskeletal medicine. See the below for our latest blog posts. We treat conditions including neck and spinal pain, peripheral joint pain, tendon and muscle injuries, sports injuries and pre and post operative rehabilitation. An analysis of your physical history and a biomechanical and physical assessment will enable us to formulate a rehabilitation plan. Our specialists can provide expert advice at each stage of your recovery from the clinic room to the field of play. We have access to the facilities of a fully equiped gym to fulfil your potential and provide long term success. Musculoskeletal ultrasound is used as an adjunct to a physical assessment to diagnose a variety of injuries. It is as accurate as MRI for diagnosing muscle, tendon and ligament injuries. Diagnostic ultrasound can identify the specific movement causing pain and measure the healing process to guide your return to health and sport. Diagnostic ultrasound provides instant results and is available to everyone with no harmful side effects or restrictions. Corticosteroid injections are effective in reducing joint pain and inflammation for musculoskeletal conditions. The injection can help conditions such as knee osteoarthritis and is used to treat inflammation in soft tissues, such as repetitive strain injuries and plantar fasciitis. Ultrasound guidance is used to guarantee accurate placement of the needle and to avoid unnecessary injury to healthy tissues. I have had shoulder problems for some time and i didn’t want to wait for a scan and treatment on the NHS. Daniel was able to scan my shoulder and tell me exactly what the problem was. I now have a plan of exercises to get me back playing tennis, thank you. I’ve been suffering with severe back pain for over a year but after a a few sessions with Daniel and great excercise advise I’m back taking part in sport and can’t thank him enough. Would throughly recommend! Thank you for providing an excellent service. I have been to other physiotherapists about my knee pain but it continued to be a problem. Daniel was able to diagnose and provide exercises to get me back to running. My teenage son was seen by Daniel for a sports injury to his ankle. Daniel was very professional and friendly and made both my son and I feel at ease. He did a very thorough assessment and gave my son advice about how to look after his ankle and a plan to get it stronger so that he can get back to playing sport. Thank you.